People ask what my favorite tea is. I usually tell them I go through phases, which is true. I don’t think I have one favorite tea, but I do particularly love Green and Oolong. I think it’s mainly because I grew up with these two types of teas. My mom makes them all the time at home and we’d just drink tea like crazy. With that being said, my favorite tea this week is Earl Green. “The classic citrus aroma associated with Earl Grey comes from an essential oil pressed from a rare citrus fruit called bergamot. 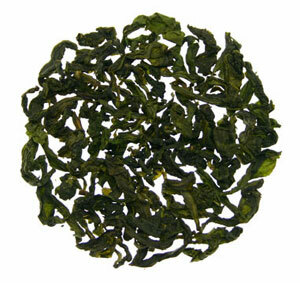 We use fragrant “Pouchong” tealeaves from Taiwan to create an Earl Green unlike any other. Notice the sweet, lingering citrus elements that harmonize with the high grown notes of lilac and wild orchid.” It’s super yummy! For those of you who received our email the other day, be sure to read it, find and use the little offer in it… the offer ends this weekend!